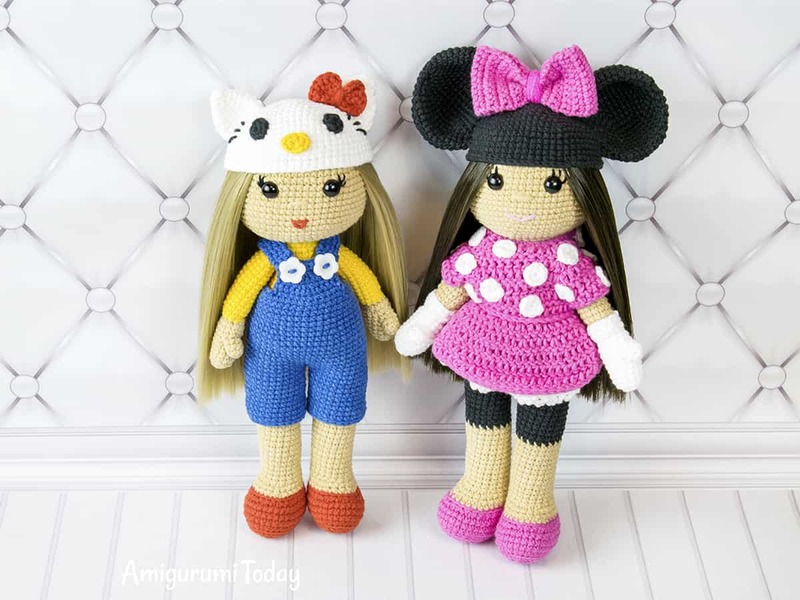 This crochet doll in Minnie Mouse costume is a dream come true for any young Minnie fan. 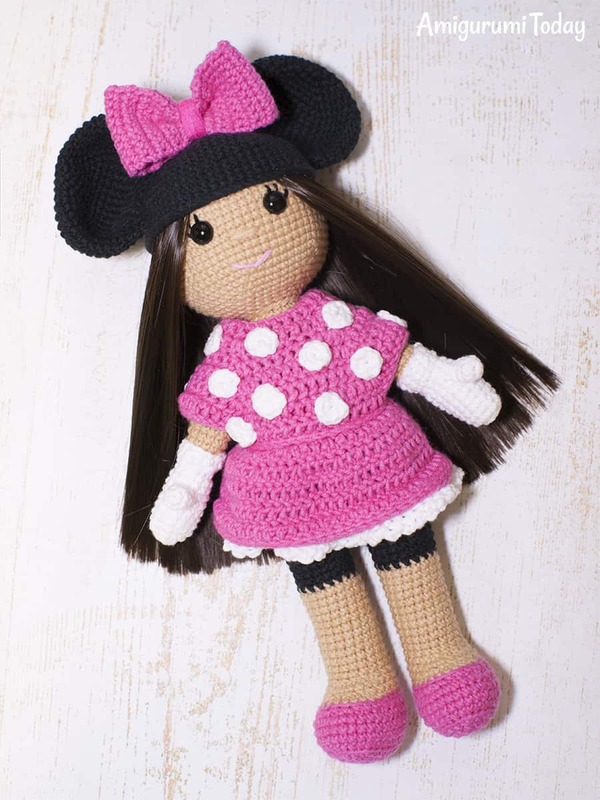 Your little one will want to take her along on each and every journey to a magic dreamland. 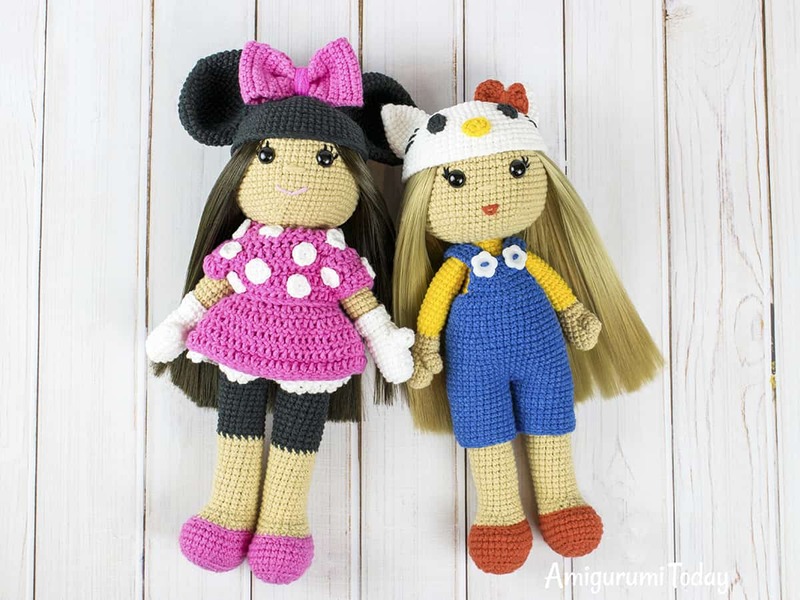 Let’s make the doll together! 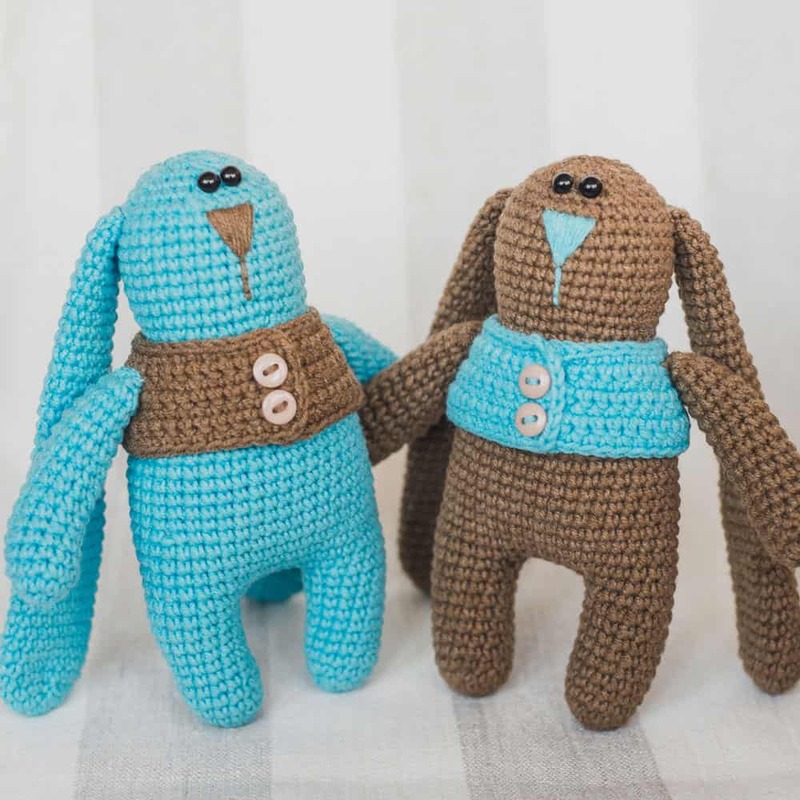 Follow our step-by-step crochet pattern! 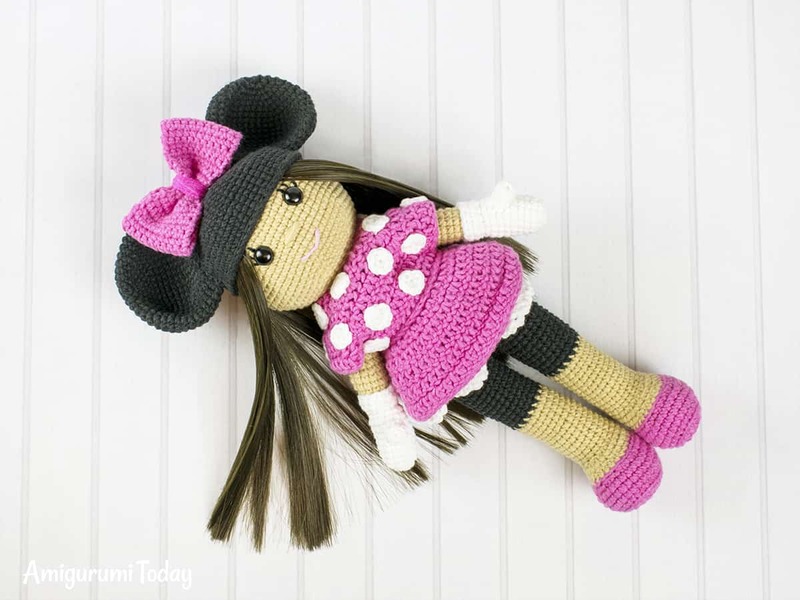 If you use specified yarn and hook, your crochet doll will be about 28 cm (11”) tall without hat. 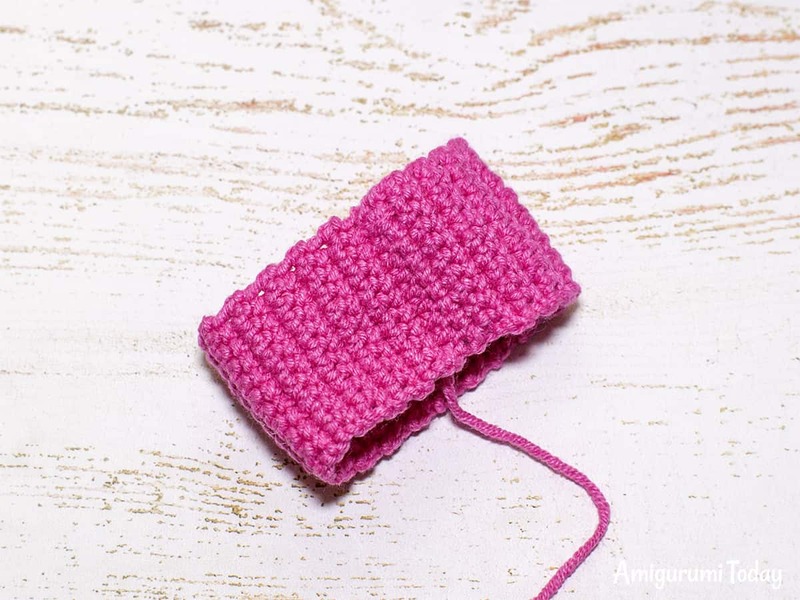 Please watch the video tutorial on how to make extended single crochet stitch. Fix the eyes between Rnd 15 and Rnd 14 at the distance of 9 stitches between them. 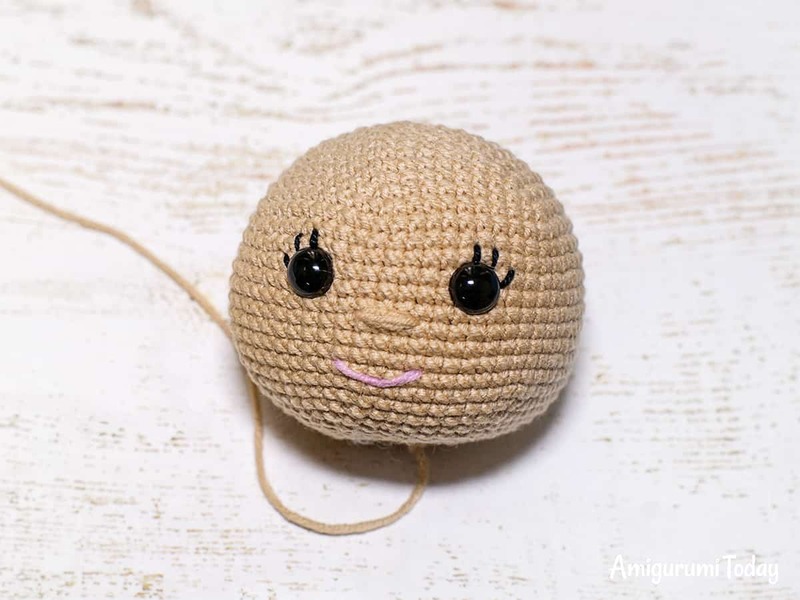 – Embroider a nose with beige yarn between Rnd 16 and Rnd 17. The width of the nose is 3 stitches. – Embroider a mouth with pink or red yarn between Rnd 19 and Rnd 20. The width of the mouth is 5 stitches. – Embroider lashes with black thread in the corners of the eyes. Crochet with black yarn. Don’t stuff. Join the edges together crocheting sc in the next 10 st (the seam should be on the wrong side of the bow). Shape the bow, fix the middle point by wrapping the yarn around it several times. Tie off leaving a tail for sewing. 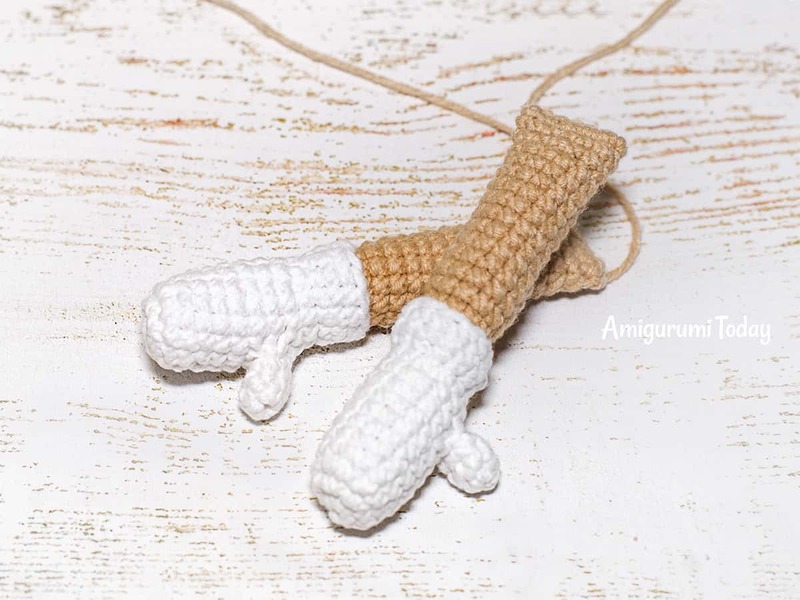 Crochet with white yarn. Don’t stuff. Cut off the yarn, fasten off, hide the tail. 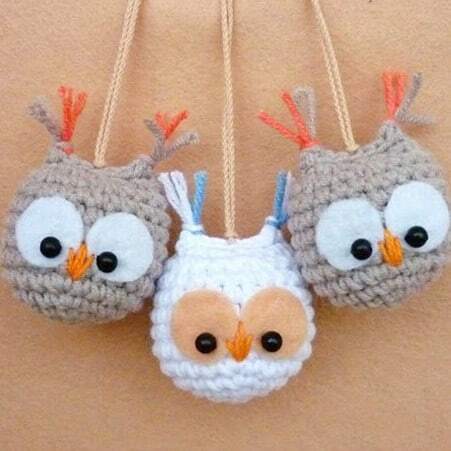 Crochet with white yarn. Stuff as you go (stuff the hand firmly and the rest of the arm slightly). Flatten the edges and crochet sc in next 6 st through both layers, thus closing the hole. Fasten off. 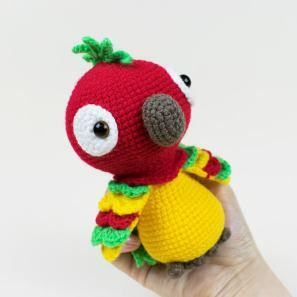 You can attach the arms to the body in two ways: with sewing needle or with the help of your hook while crocheting the body (like you attached the thumb). If you’re going to sew the arms, leave a tail for sewing. Join the yarn to one of the front loops of Rnd 11 (they’re left after crocheting Rnd 12 of the arm). Rnd 1: ch, sc in all 12 st, sl st in next st.
Start crocheting with pink yarn. Stuff as you go (the shoe is stuffed firmly). Rnd 37: sc in next 10 st. Make sure that the leg ends up at the middle point of the inner thigh. Fasten off and weave in the end. Rnd 37: sc in next 20 st. Don’t fasten off, continue crocheting: 1 ch, sc in next 10 st of first leg, starting from the stitch which follows after the last stitch of the first leg. Mark the next stitch as the beginning of new round of the body. Continue working with black yarn. Stuff as you go. 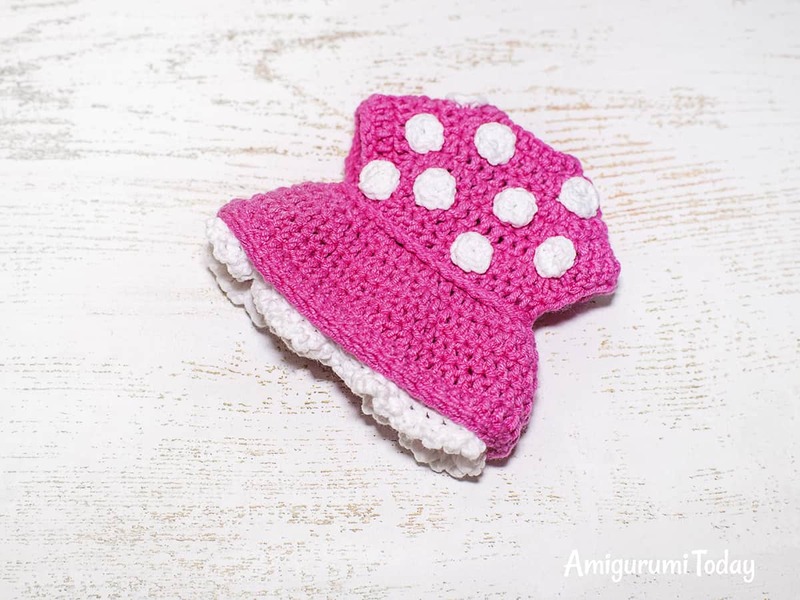 Change to bright pink yarn. Pin the arms to the body keeping in mind the symmetry in relation to the body and legs. Crochet Rnds 23-24 together with the last stitches of the arms. Rnd 25: sc in next 4 st. Finish with sl st. Cut off the yarn, fasten off, hide the tail. Sew the straps at the front and at the back of the body between Rnd 21 and Rnd 22. Crochet in turning rows till Rnd 7. Attach white yarn to a back loop of Rnd 13 inside the dress. 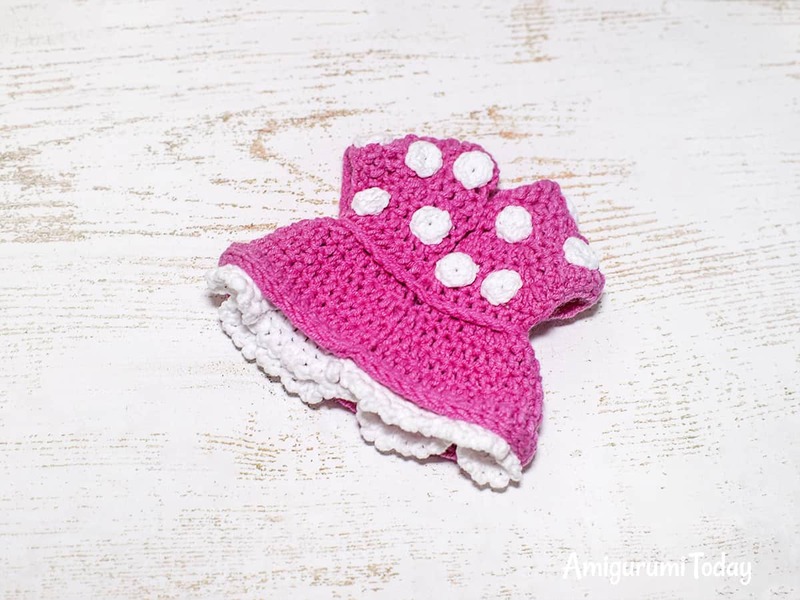 Crochet in rounds, holding the right side of the dress faced to you. Rnd 2: (3 ch, sl st in next st) repeat till the end of the round. Tie off and hide the tail. Crochet a belt with pink yarn in the front loops of Rnd 8 of the dress, starting from the middle of the back. Sew the dots to the bodice (front and back parts) of the dress. 1. Sew the head to the body. Stuff the neck firmly before you finish. 2. Sew the arms to the body between Rnd 23 and Rnd 24. 3. Sew the hairpiece to the head 4 rounds above the eyes. 4. Put the hat on the head, sew it 2 rounds above the eyes. 5. Sew the ears to the hat at Rnds 7-15 at the distance of 10 stitches from the outer corner of each eye (count 10 stitches on Rnd 15 in the direction of the back of the head). 6. Sew the bow between the ears. 7. Put on the dress. 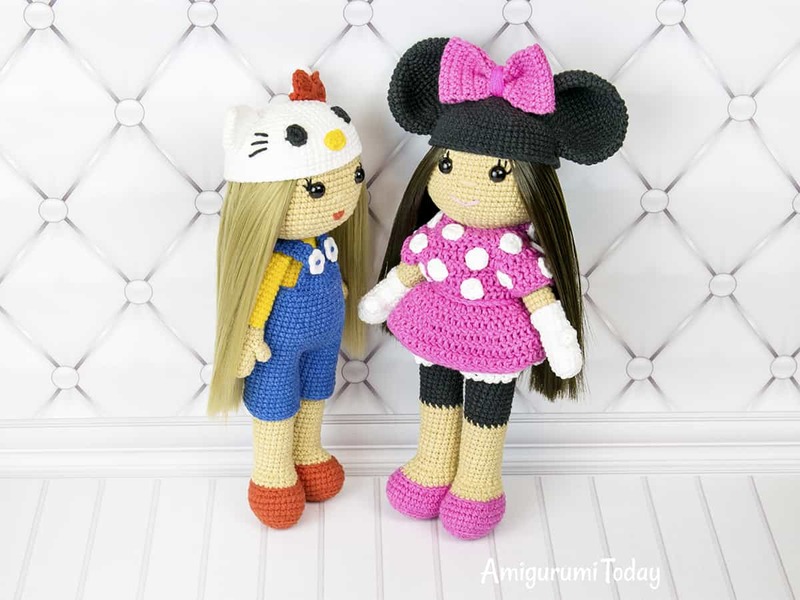 Congratulations, your crochet doll in Minnie Mouse costume is done! 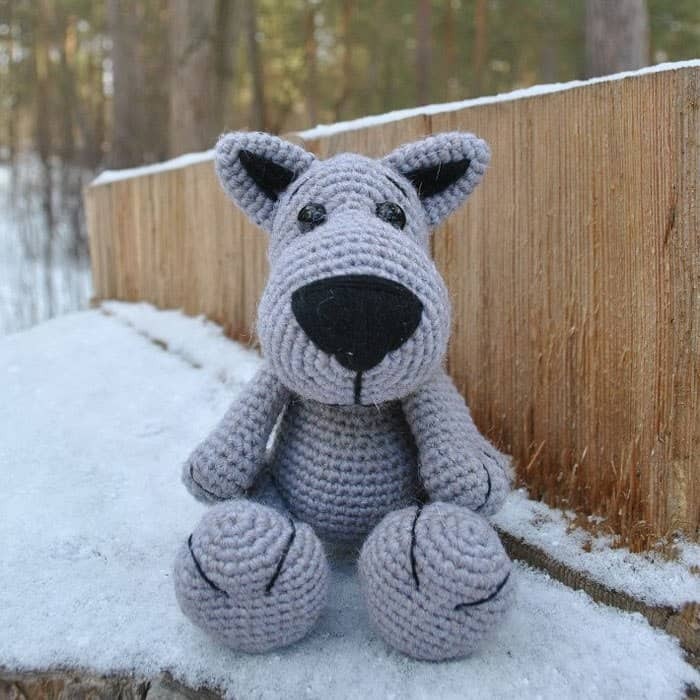 Share the pictures of your crochet doll in our Facebook community. I think there’s something wrong in the Second round for legs. Please, take a look. Hi Tatiana 🙂 I double checked, everything is correct. 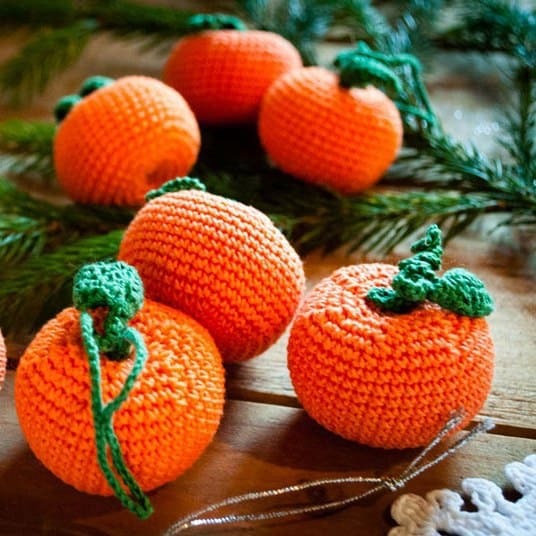 Thank you so much, for taking the time out to give us all these free adorable and easy patterns to follow God bless ! God bless you, for taking the time out to give us all these free adorable, and easy patterns to follow . Thank you so much ! God bless you ,for taking the time out to give us these adorable and easy patterns to follow . Thank you so much ! God bless you, for sharing all your easy patterns to follow. I know for sure NO HEAT…lol . Maybe try to spray with a little water, and lay the hair flat in a towel or between some plastic or foil and set something heavy on top until it’s dry? Kind of like pressing a rose in a book. Let me know if this works or if you figure something else out. Mine came nice and straight on the shorter ones I ordered, but the longer ones have a slight “curl” to them. 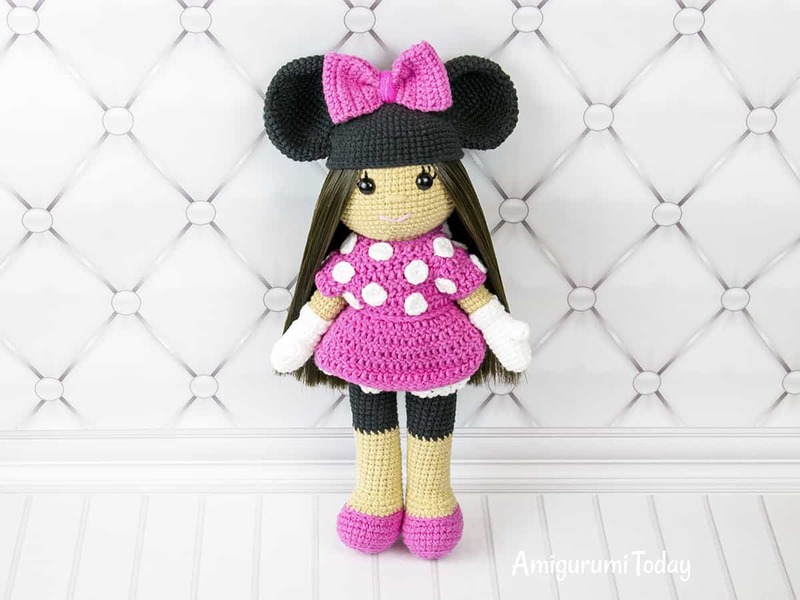 I am new to dolls. I bought the hair from the suggested site, but it is a little kinked after shipping. How do you straighten it? Any tips? Thanks. 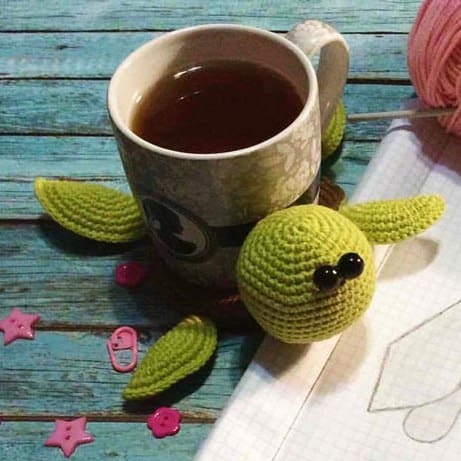 Super cute pattern. Thank you. 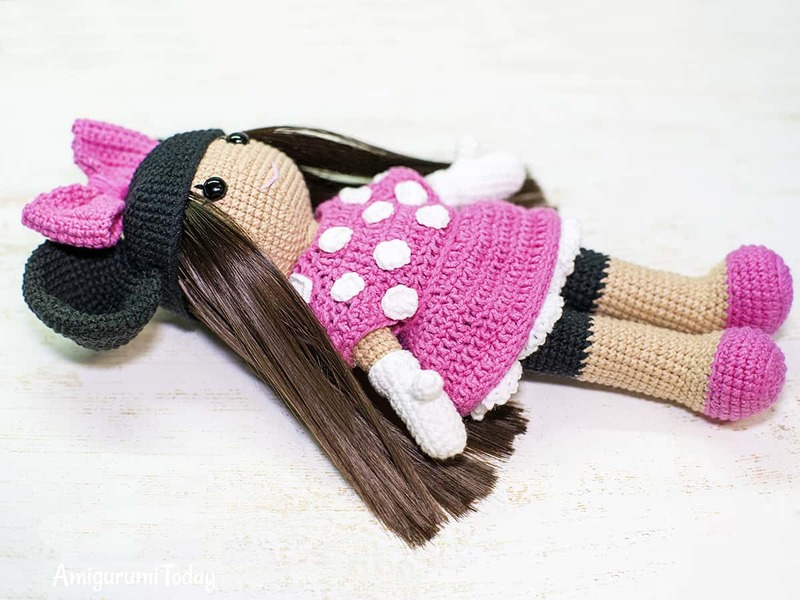 Could you put the link for the doll hairpiece? I am looking on aliexpress, but I am not finding it? It would be greatly appreciated. Thank you. Here is where I found the hair. Hope this helps. Where can I purchase the hair? 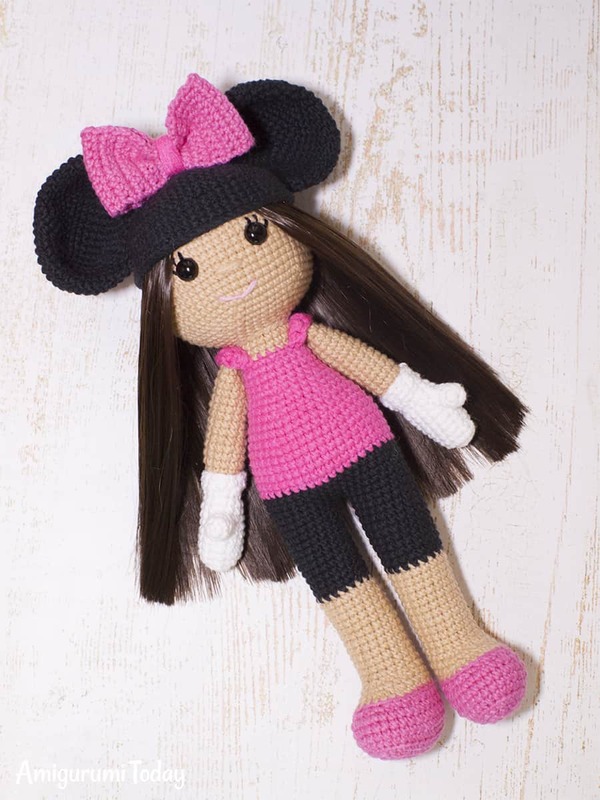 I have looked everywhere for a doll hair piece to use for this pattern. Does anyone know where I can get one? IS there a pattern for the chicken outfit? Is there a pattern for the doll in the jello kitty outfit? what is a magic ring? ?